Large businesses and corporations have a major impact on the environment due to the number of carbon emissions each produces. In fact, a 2017 report from the CDP and Climate Accountability Institute states about 100 companies are the cause of 71% of greenhouse gas emissions. While the companies on this list are all fossil fuel producers, there are lots of things every company can do to help reduce its carbon footprint. If you’re looking to reduce your company’s carbon emissions, a great place to start targeting is the human resources department, specifically your recruitment process. If your company depends on flying in out-of-town candidates for the first in-person interviews, you’re increasing the amount of greenhouse gas emissions being released. Recruitment software can eliminate this situation for your company by using web interviews, preventing the need to fly any candidate in. 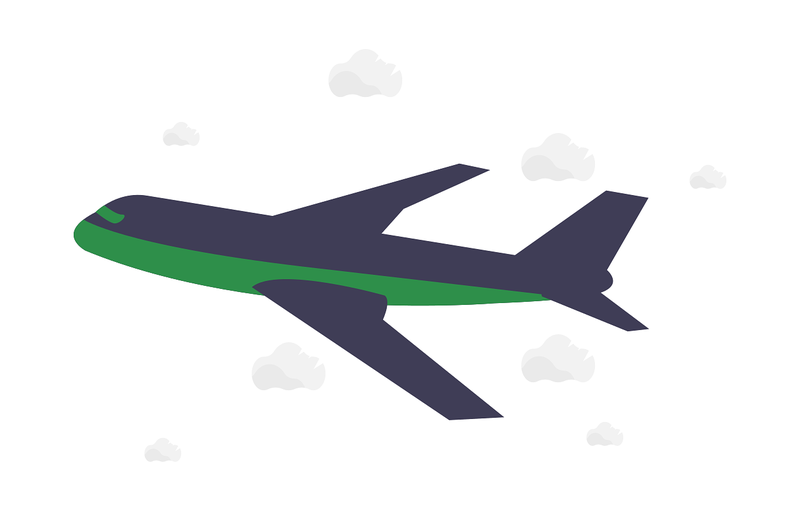 How Much Do Flights Really Affect My Company’s Environmental Impact? It’s assumed by most people airplanes are a significant cause of climate change, but how much do flights really affect someone’s carbon footprint? Well, the David Suzuki Foundation states airplanes consistently have the highest climate change impact per passenger when compared to other methods of travel. A report published by BlueSkyModel has hard data to confirm these statements. It found for every mile a plane is in the air, it produces a little more than 53 pounds of carbon dioxide. This means one plane flying from New York, NY to Los Angeles, CA — which is about 2,450 miles — would produce about 65 short tons of CO2. While the report didn’t go into details about what the CO2 emissions per passenger would be, since it could vary on the size of the freight and the number of seats sold, but it did do the math for us under the assumption that every seat was filled. A plane produces 0.24 pounds of CO2 per passenger every mile. These facts show it’s an incorrect assumption for a company to think flying in out-of-town candidates wouldn’t be massively contributing to the climate crisis. For every ticket you pay for, the CO2 being emitted from the flight is directly linked to your company’s carbon footprint. Luckily, there’s now a way to completely cut the need to fly candidates in for the first in-person interviews while still maintaining professionalism a face-to-face interview provides. Eliminate the need for your company to fly prospective employees to your location for the first in-person interview with live video interviews. This recruitment technology works by connecting recruiters to their applicants via the internet. All the two need to be able to perform the interview is a mobile device with a camera built-in or a computer with webcam and microphone capabilities. The system will send a link to the applicant which will direct them to the live video interviewing room once the recruiter starts it. The entire interview can then be performed electronically while still maintaining the standard expected from a face-to-face interview. The system even makes the interview easier on the recruiter. You can input your interview guides and rating system into the live video interviewing software so everything you need is right in front of you. The system will also save all your notes and ratings so everything you need when reviewing the candidates is digitized in one safe location. By using live interviews as a replacement for your company’s first in-person interviews, you’ll stop flying candidates to your office while still getting to meet them face-to-face. This will lower the amount of CO2 emission which can be linked to your company, making the process more environmentally friendly. Live interviewing can do more than just prevent the need to transport candidates to your location. Discover what other benefits video interviewing can provide, or If you’re ready to see this product in action, you can sign up for a live demo with one of our specialists today.